Point Breeze is an up and coming neighborhood in South Philadelphia, west of Broad Street and bordered by Washington Avenue to the north and Snyder Avenue to the south. The neighborhood is seeing a lot of activity from developers who have been rehabbing row homes. 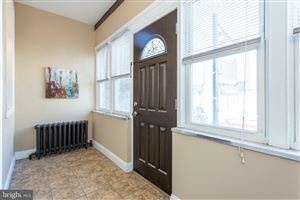 Along with relatively affordable homes, the Point Breeze area is becoming a popular location for a number of entertainment locations, like restaurants and bars, and convenient center city amenities.